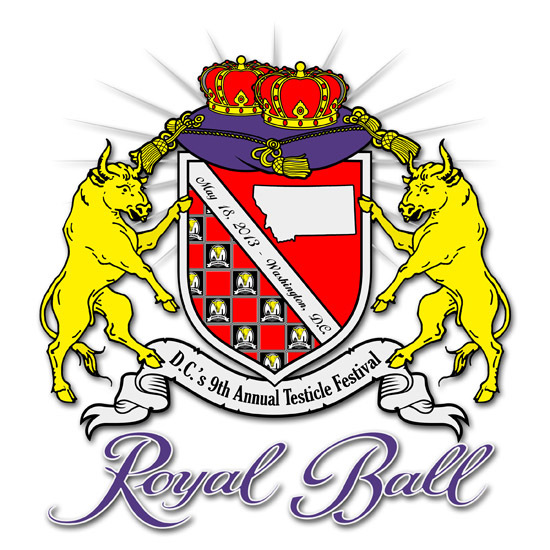 The Montana State Society is excited to invite you to attend the Ninth Annual Testicle Festival of Washington, D.C. - "Royal Ball" to be held from 6-10 PM on Saturday May 18 at the Arlington American Legion. Experience a unique Montana tradition while listening and dancing to live country music, and all the Rocky Mountain Oysters, beer and Crown Royal you can handle. Get there early, the first guests will also get a T-Shirt featuring the Royal Ball Coat of Arms (above) to forever memorialize the event. Tickets are just $25 online or $30 at the door. 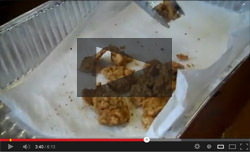 What: "Royal Ball" - The 9th Annual Testicle Festival. How: Buy ticket online here for $25 or at the event for $30 http://montanastatesociety.brownpapertickets.com/. Dance to your favorite country music played live on stage by Wil Gravatt Band. Last year Wil tried a Rocky Mountain Oyster for the first time. No telling what will happen this year! For the second year in a row, we're thrilled to bring out our famous ball chef, Frank McGraw. Coming to us straight from the original Rocky Mountain Testy Fest at Rock Creek Lodge outside of Missoula, Frank's tasty recipe has an authentic zest that helped set a record last year for most pounds consumed.